After the success of my last class at the Village Haberdashery, Annie and I put our heads together and worked out a few more classes that we think might be interesting for quilters and sewers in general. Over the past year I made quite a few i-pad/kindle/laptop covers and I think these are always great fun to make and give you an opportunity to play with fabric and make the scratch covers truly unique. Covers for our various electronic devices are always required and in particular when holiday time approaches because let's face it although we should leave our i-pad at home and we never do ! This is a great class and will be really fun. We are making a baby quilt no larger than 36" by 42". I will teach all the techniques required in quilting and we start easy with the most popular and versatile patchwork shape, the humble square. 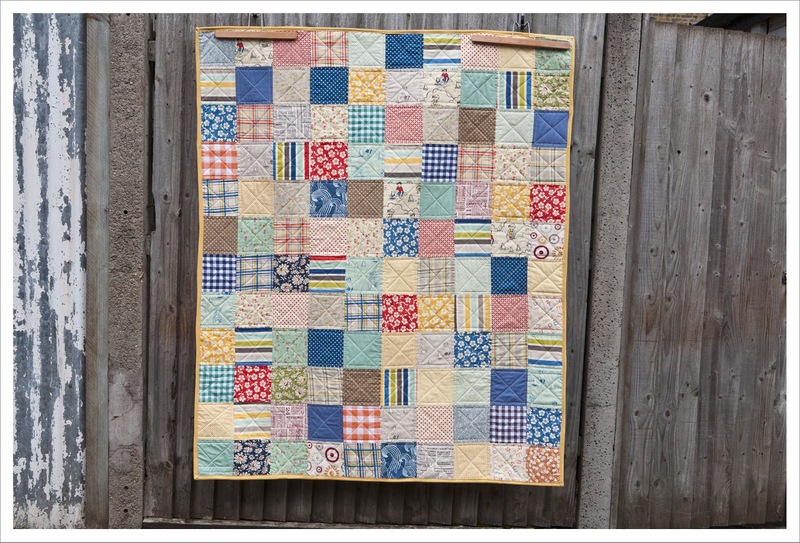 Patchwork squares are the shape that is used the most in quilting and will always look fantastic whether you are out for a scrappy look or a particular colour. 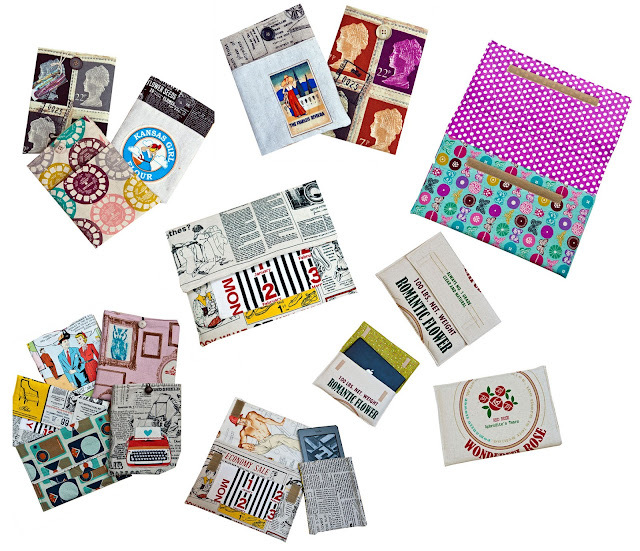 I use squares a lot and this is a great opportunity to use a charm pack. We will use the three evenings to progress through all the stages of quilting, starting with cutting and assembly, moving on to basting and finally quilting and binding. And I will give homework so the students can progress from one class to the next. This is a repeat of my first class which was so much fun. I had four students and all of them managed to produced a quilted cushion even those who had very little sewing experience. 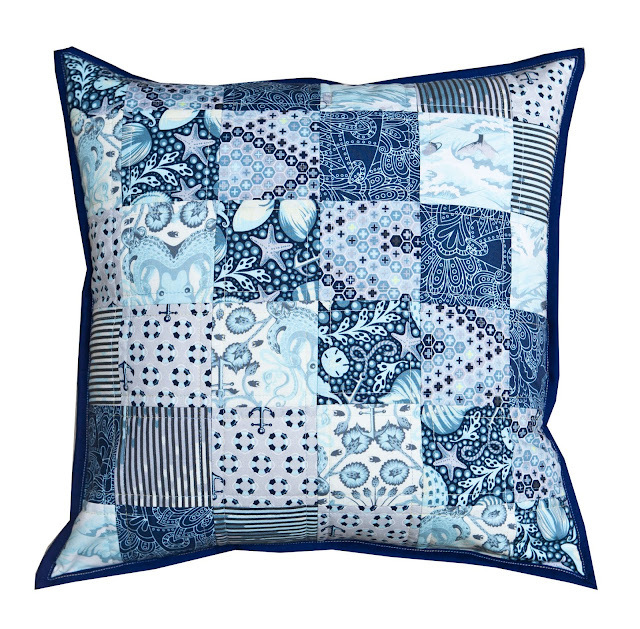 Cushion are great for decorating a room and a patchwork cushion really always makes an impact. If only i lived nearby, great classes, would love to make a tablet cover. Good Luck!